Meet the Patchwork Girl, a very adventurous little rag doll. 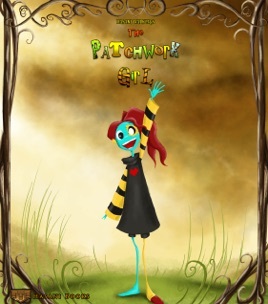 While lying under a tree on a cloudy day, Patchwork is brought to life by a dragonfly named Poco and his two brothers. Full of curiosity, Patchwork tackles Poco before he can leave and convinces him to help answer her many questions. What follows is an ongoing journey of curiosity. Join the Patchwork Girl and her friend as they start their amazing adventure!